The WaterShed project was designed for a constructed wetland to filter greywater for reuse, but the system will not be utilized because Montgomery County has no permitting process for such a system. As a result of the severe drought in California, St. Helena City Council announced mandatory water rationing for its homes effective January 2014. It imposed a limit of 65 gallons per person per day—one-third of the average water consumption in the state—with a $374 charge for every 748 gallons above the limit to take effect in a few months. In turns out that emergency regulations like these can help a lot in the short term: in St. Helena City, water use fell by 33% just two weeks after the announcement, and the rules have since been lifted due to recent rainy weather. There’s a clear need for more long-term solutions, though; drought conditions there have eased a little bit, but in California and many other places, water consumption continues at unsustainable rates, with “fossil water” aquifers being rapidly drawn down and consumption levels based on historical rainfall patterns that have literally dried up. While this crisis has been long in the making, some architects and planners say they are finally seeing room to make progress. 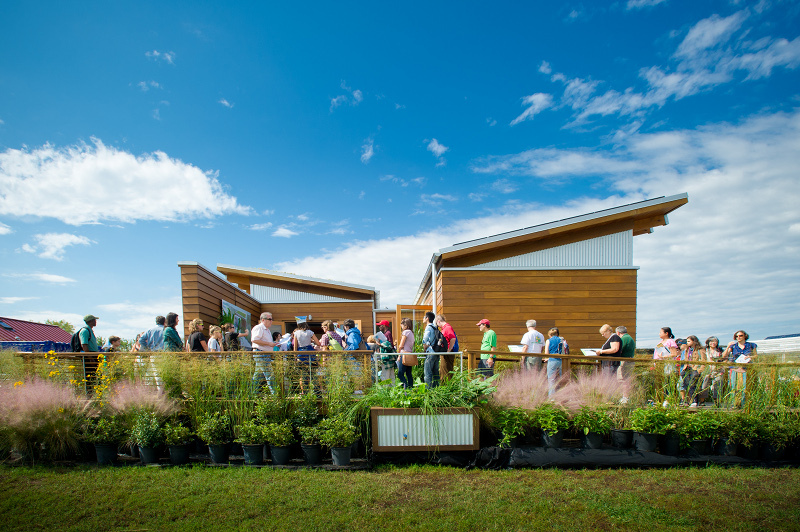 Buildings with net-zero-water performance, many of them driven by Living Building Challenge requirements, demonstrate one kind of response, but these exemplary projects have faced serious regulatory obstacles. We’ll explain why, and what’s needed to make headway on that front, and also explore solutions that utilize the connections between energy and water to have an effect spanning an urban scale. Additional Factors Expand Size of Products' Water "Footprints"